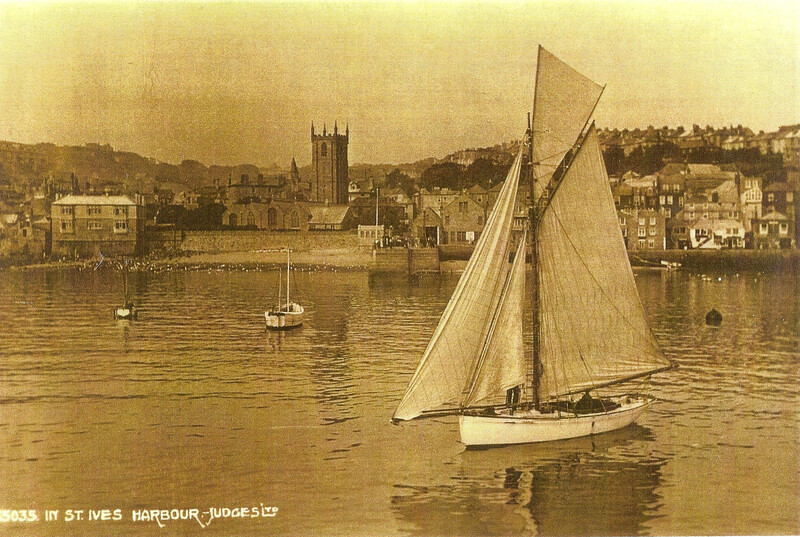 This Halcyon, the younger sister of the oyster skiff "Halcyon" (1904), is a very pretty half decked gaff cutter which was built around 1912, by Paynters of St Ives in Cornwall, for Samuel Turner, who as Sir Samuel Turner also had the 90ft yacht of the same name built in 1929. 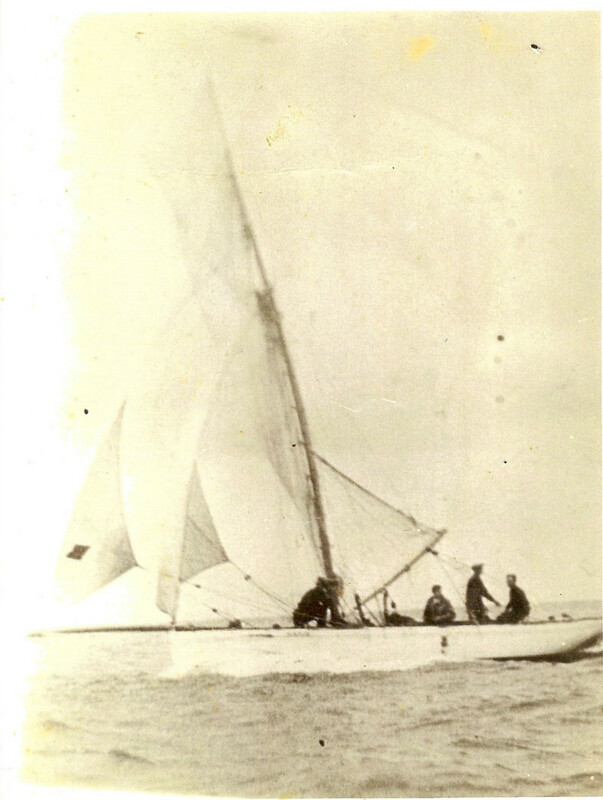 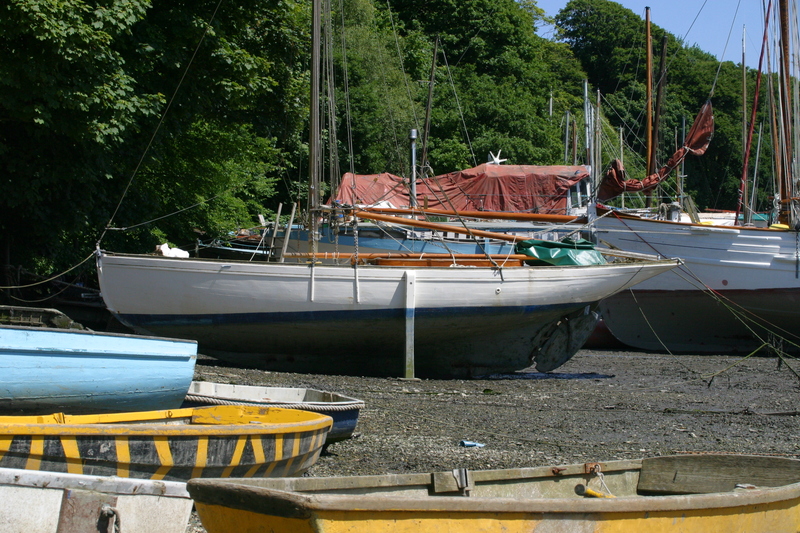 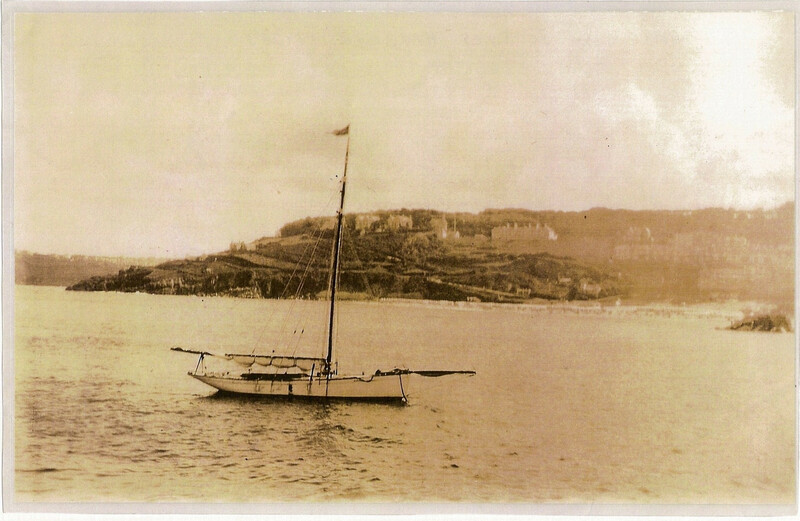 He had been taught to sail by Dan Paynter in the original oyster skiff "Halcyon" and had this "Halcyon" named after the original which had been sold to the Isles of Scilly. 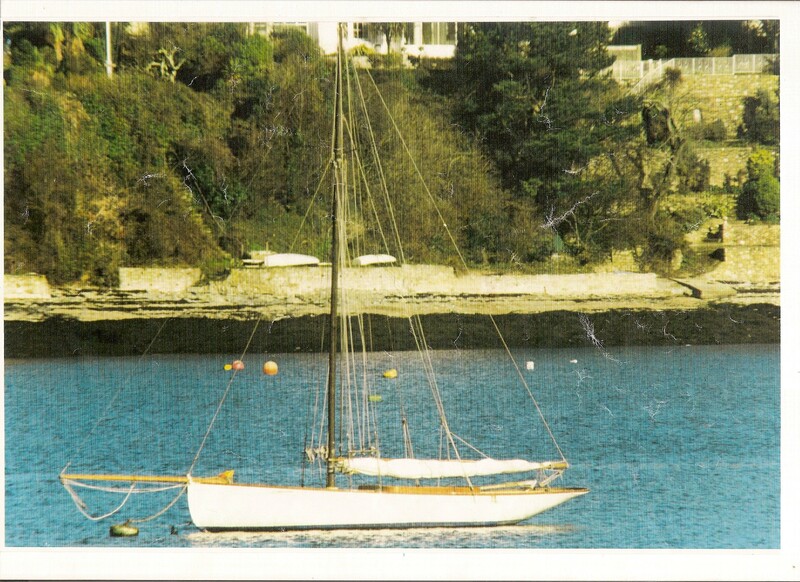 Later he had the 90ft yacht built and, in order to retain the name, gave the gaff cutter to Dan as a wedding gift, renaming her Mamie, after Dan’s bride. 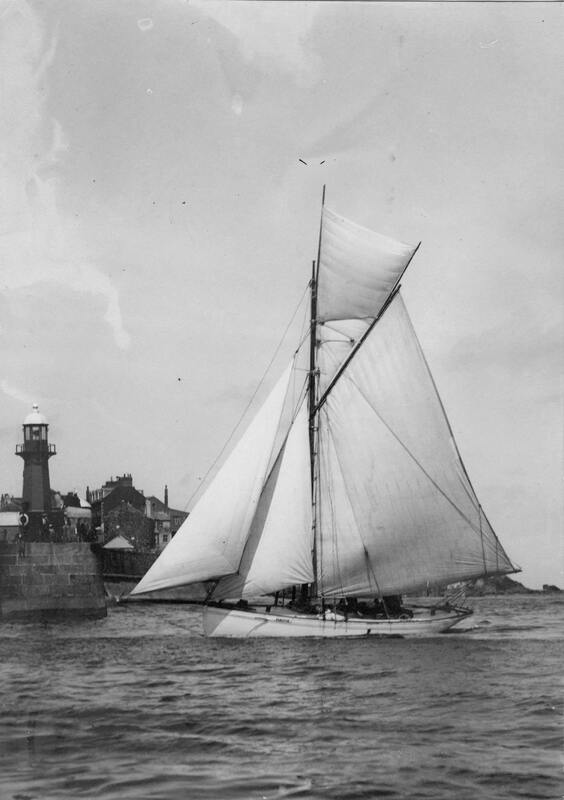 Thus he kept the name Halcyon for the new yacht, commemorating the original St Ives fishing boat of that name in which he was taught to sail. 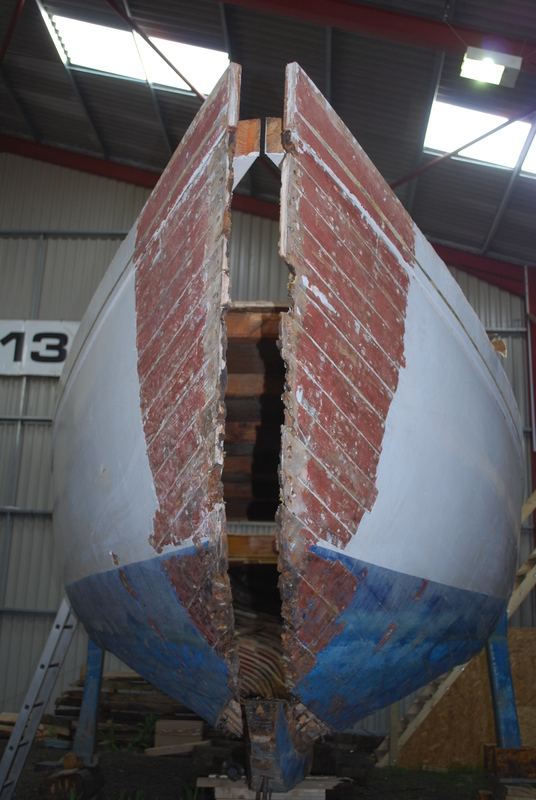 We will be restoring Halcyon to her former glory including re-fastening the iron ballast keel, replacing the old centre plate, new planking below the waterline and a new laid deck. 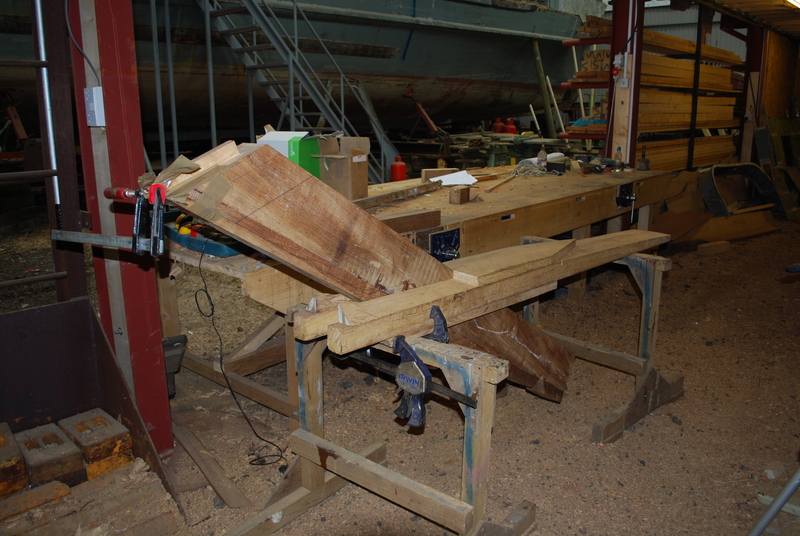 A new mast and boom will also be made for the new rig, which will be taken back to something approaching the original. 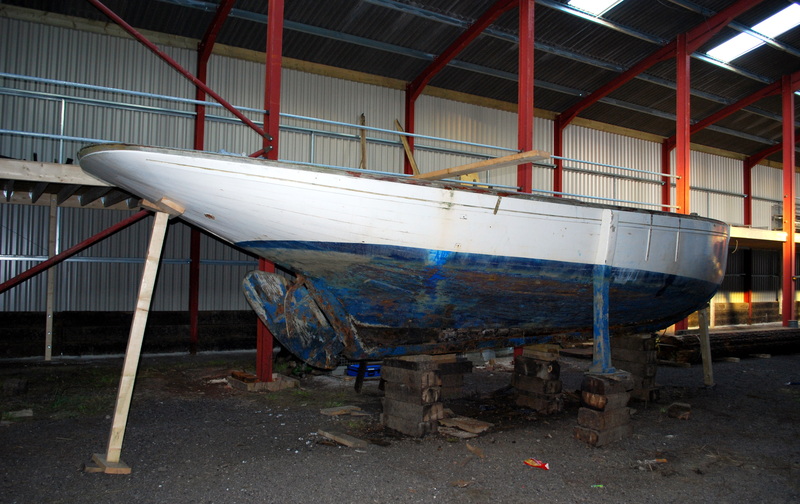 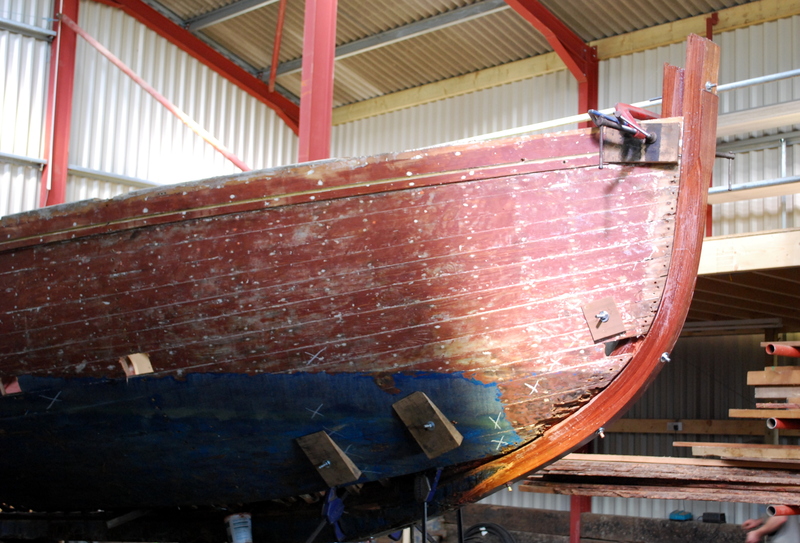 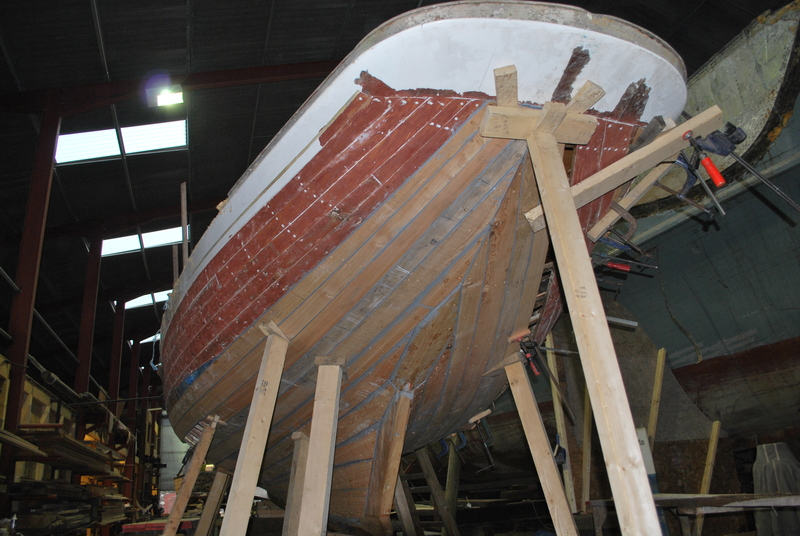 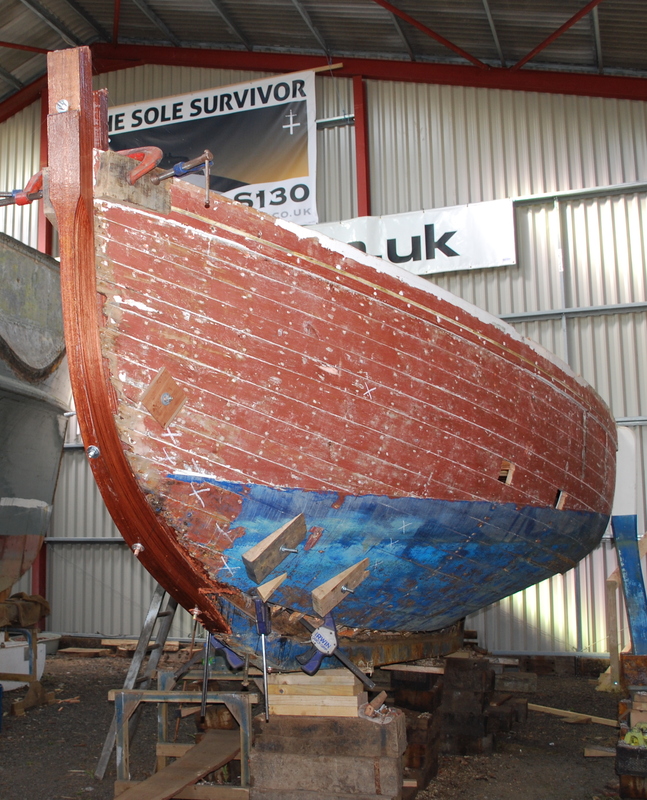 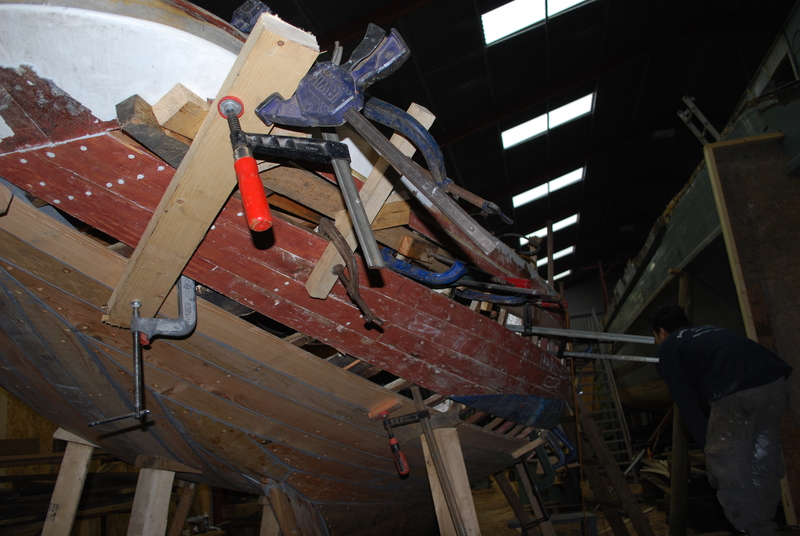 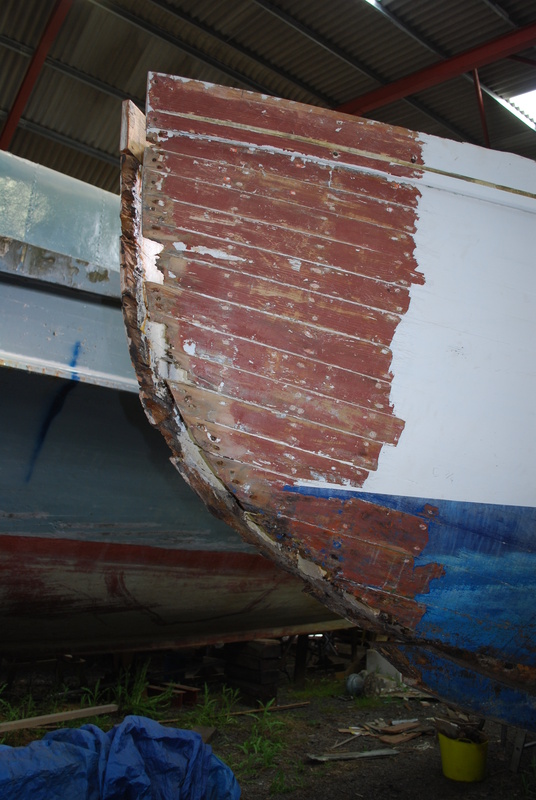 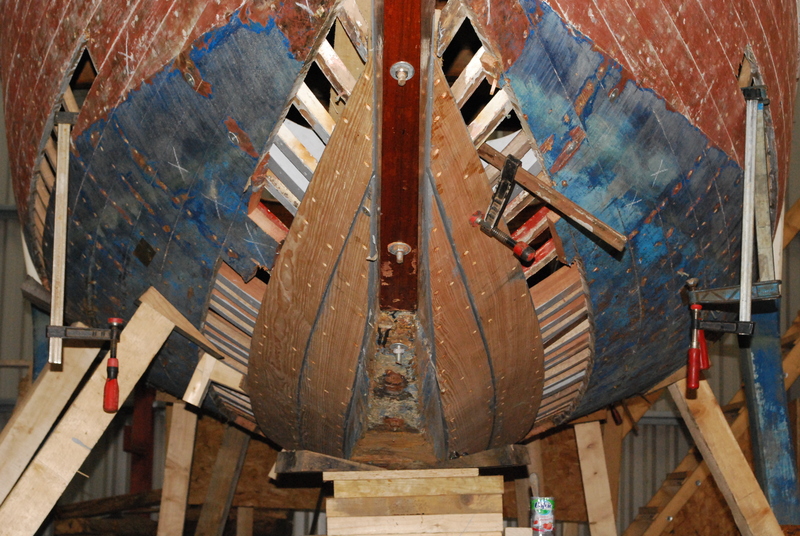 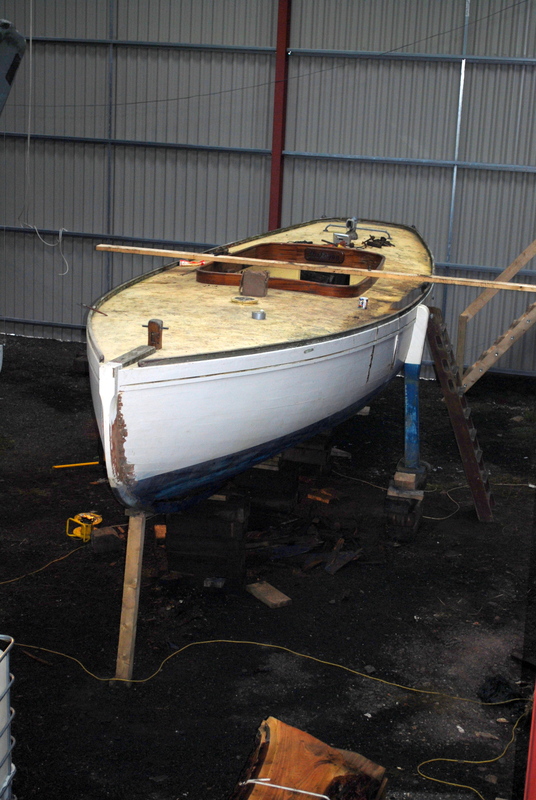 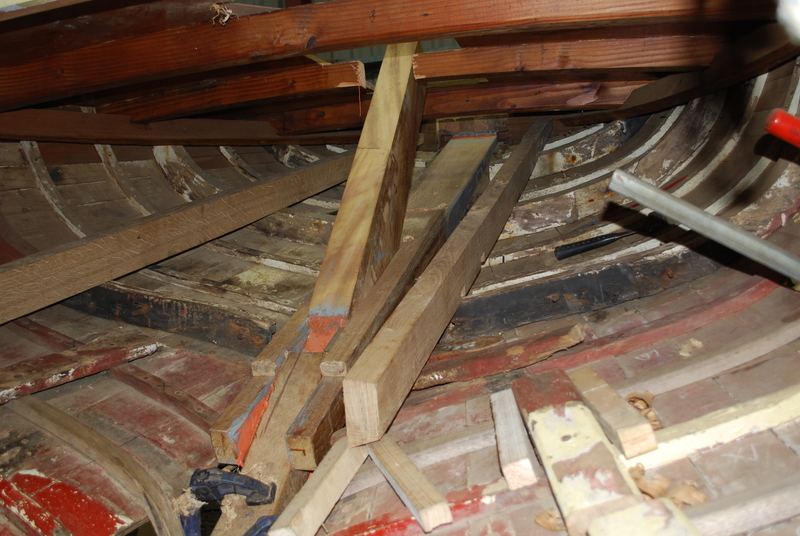 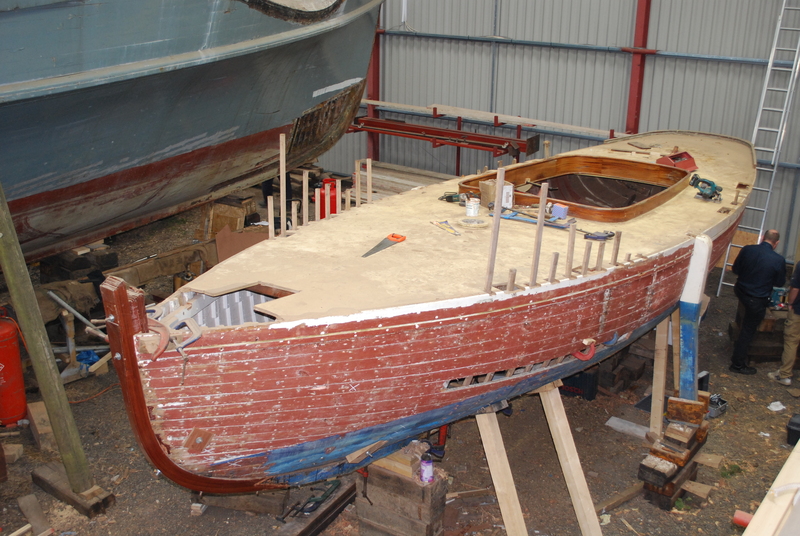 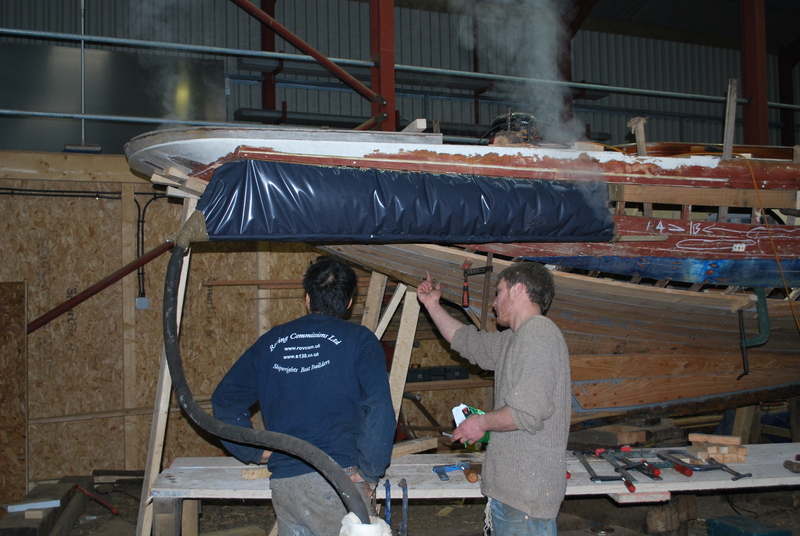 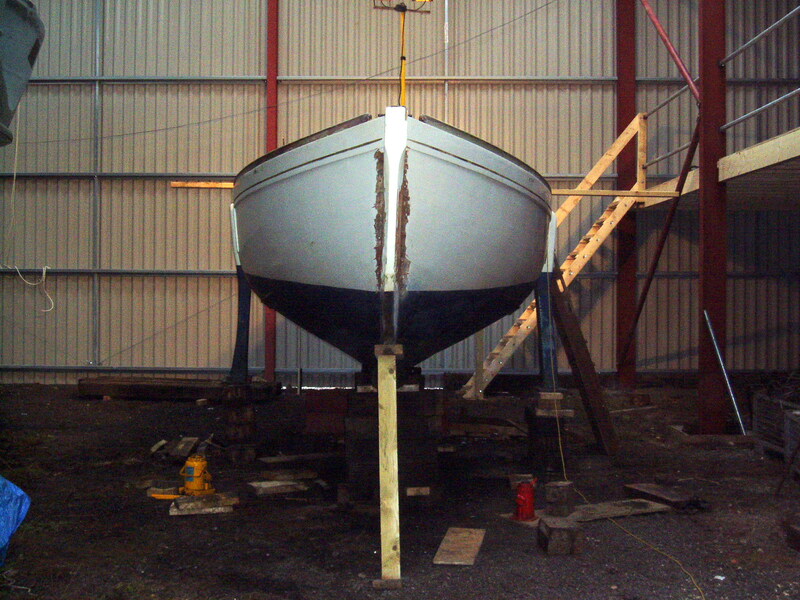 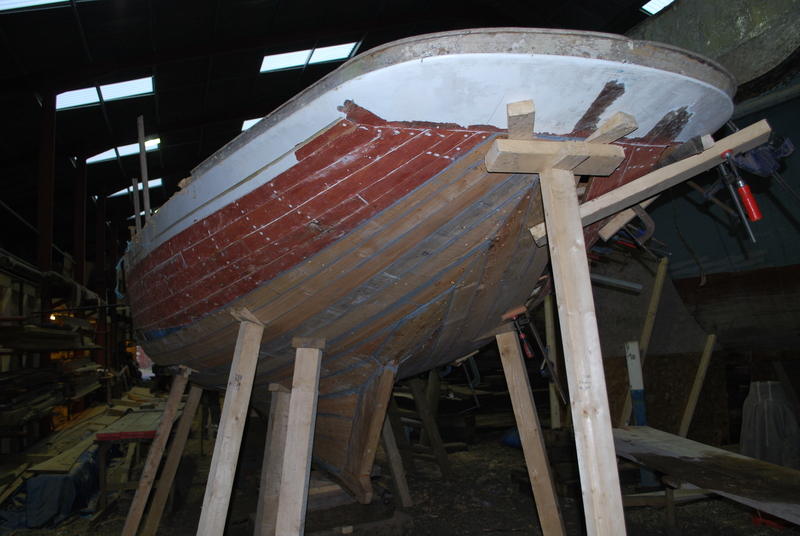 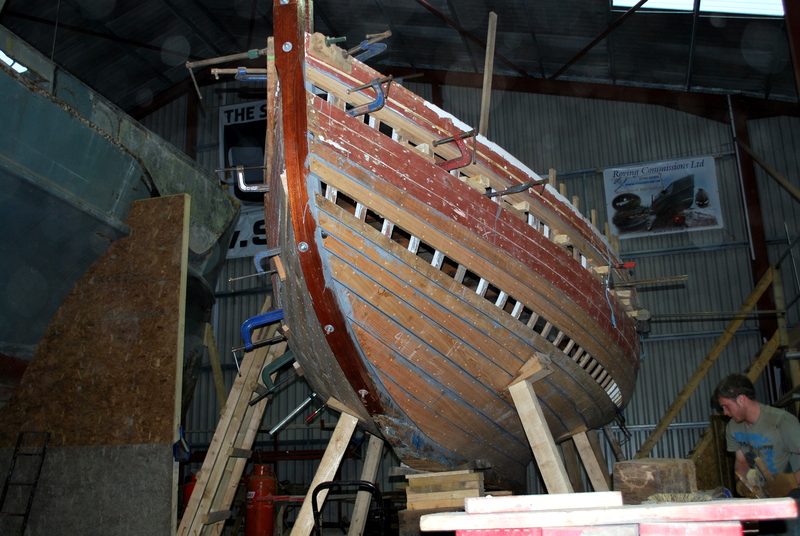 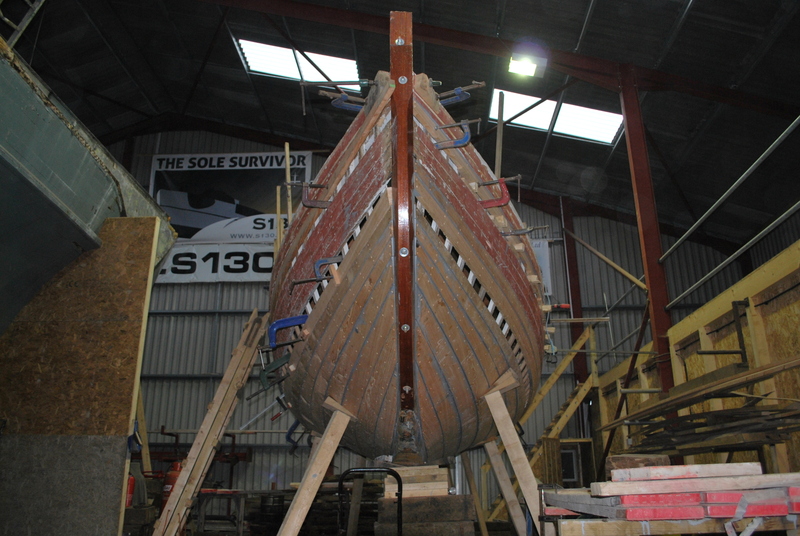 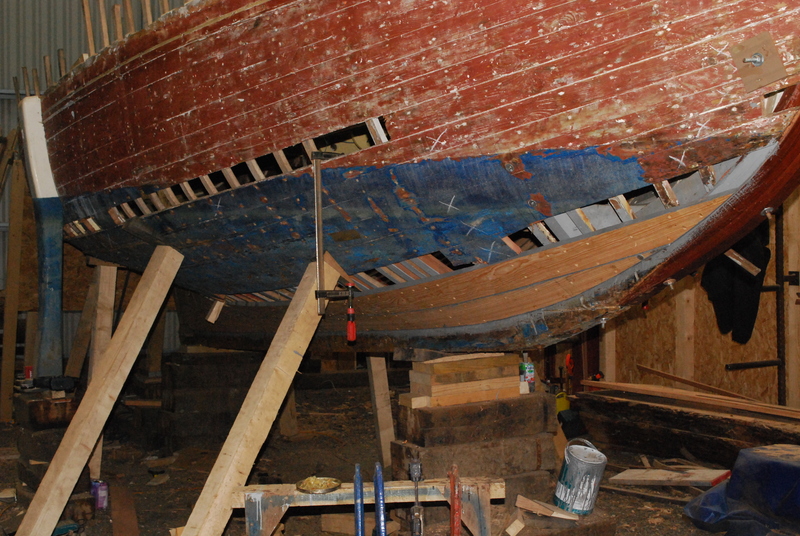 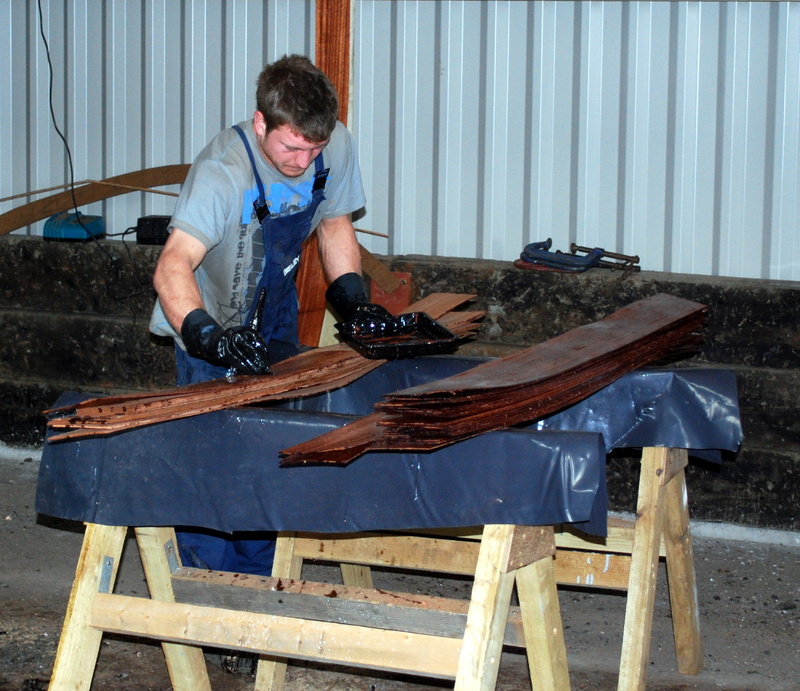 Now under cover in the S130 shed, the ballast keel has been removed and her garboards taken out. 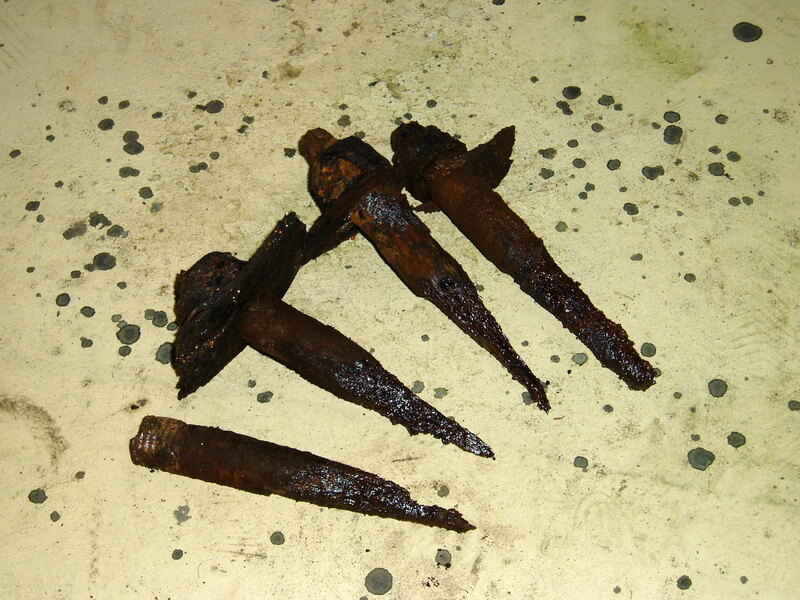 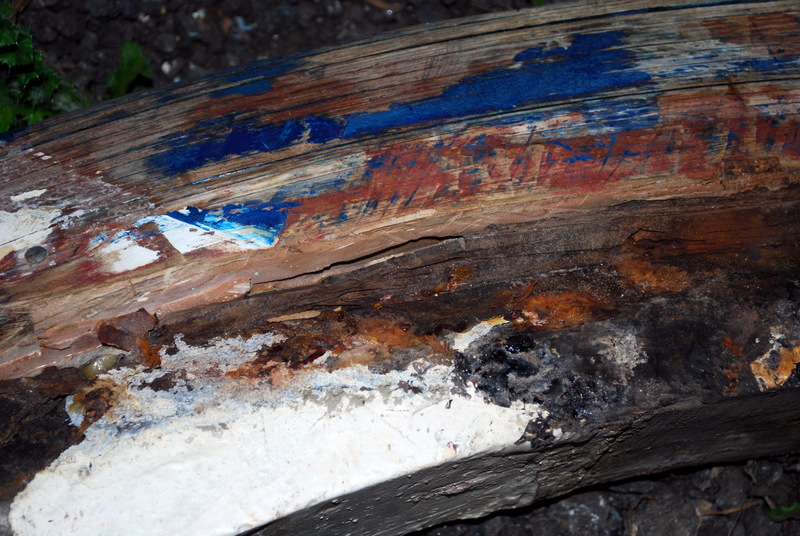 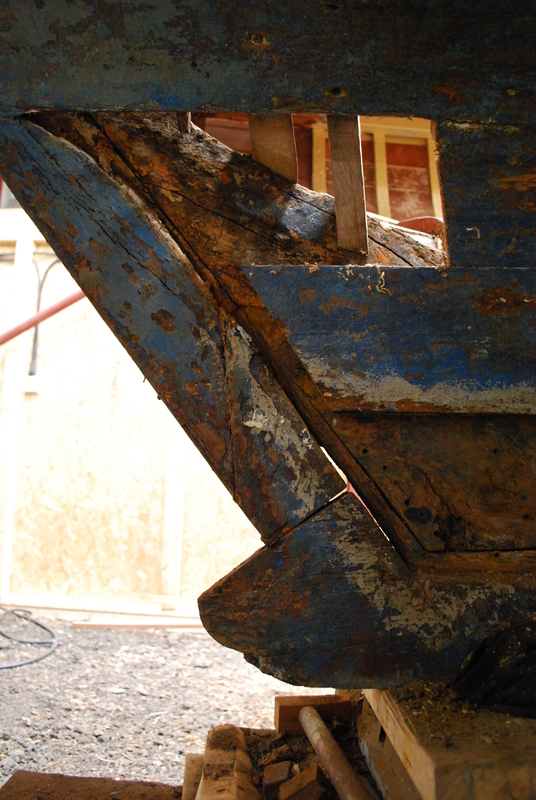 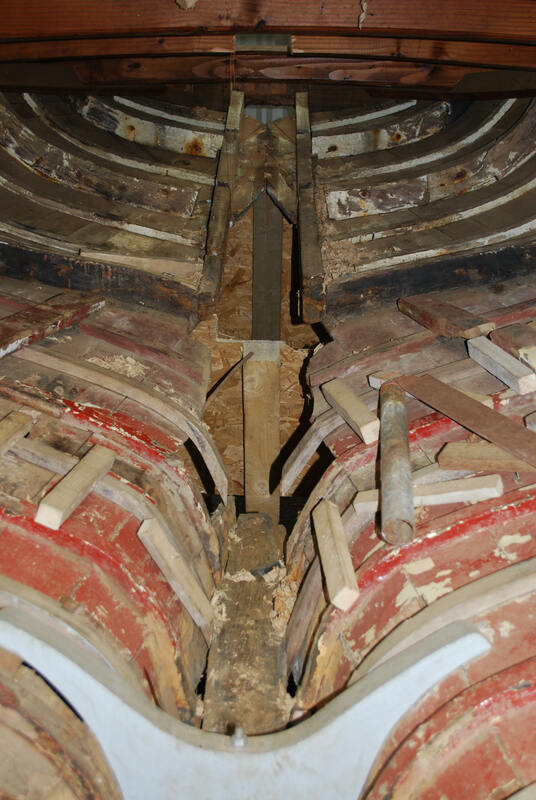 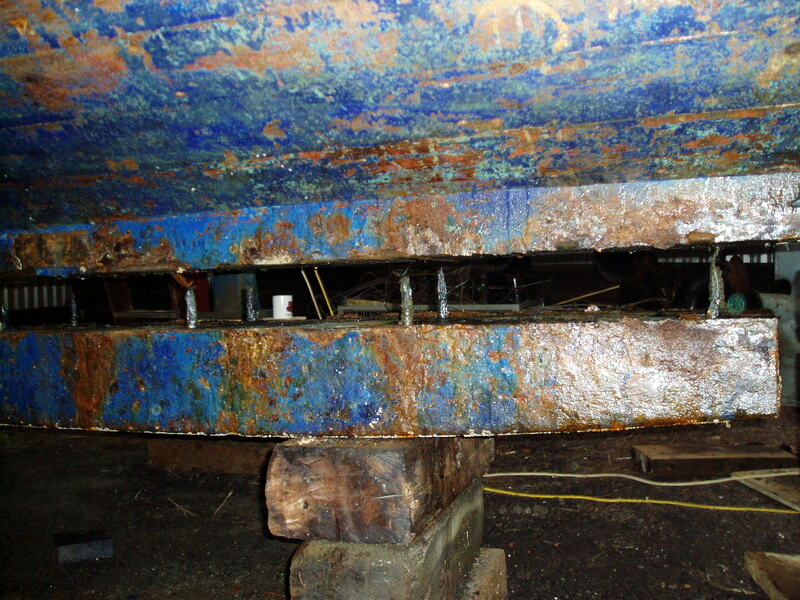 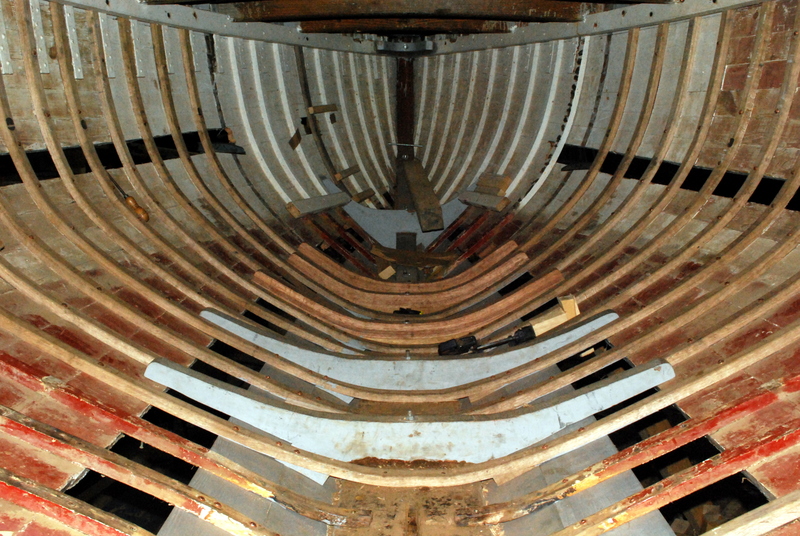 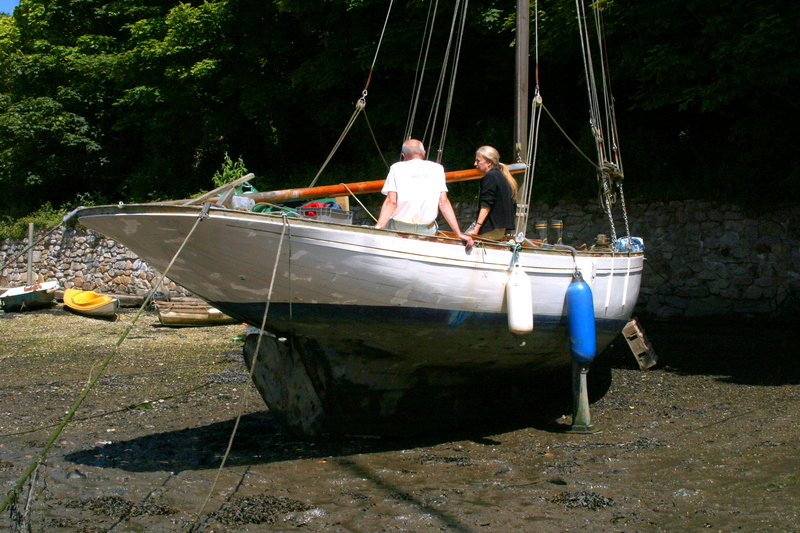 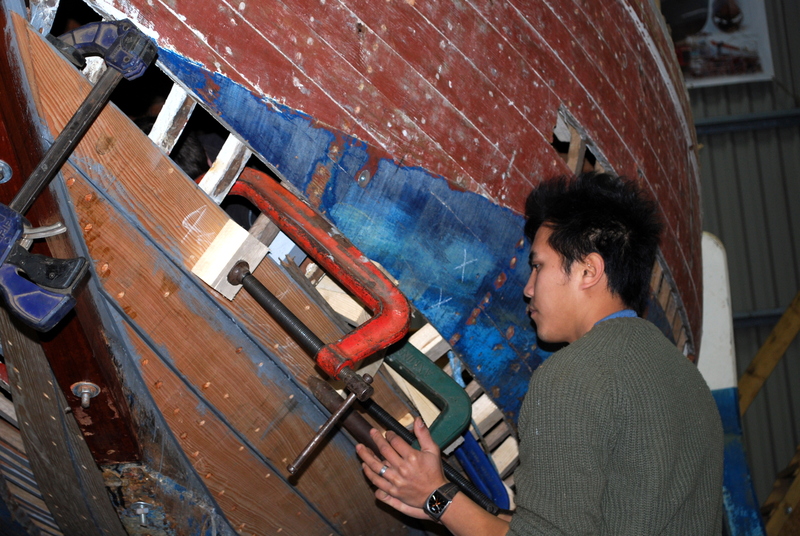 Removal of the ballast keel was not before time as can be seen from the wasted condition of the original iron keel bolts. 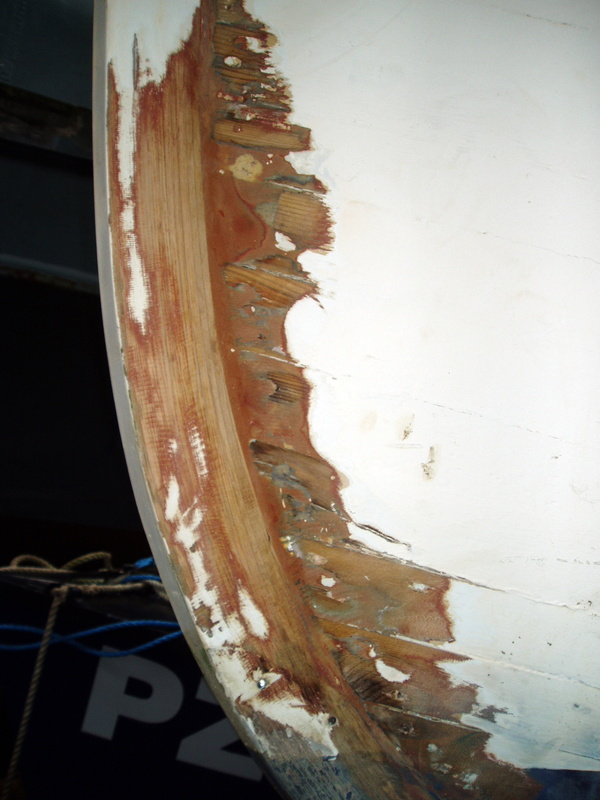 The stem, replaced during a previous refit, was delaminating in places so it has now been removed along with the apron, the original part of which was showing signs of age. 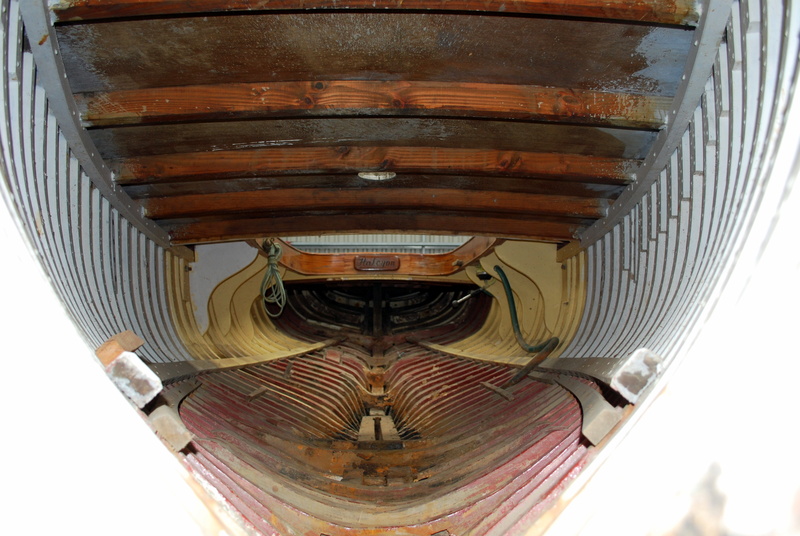 Considerable fraying of the hood ends can be seen, no surprise really given tell tale signs of epoxy filler, so quite a few additional plank replacements are on the agenda. 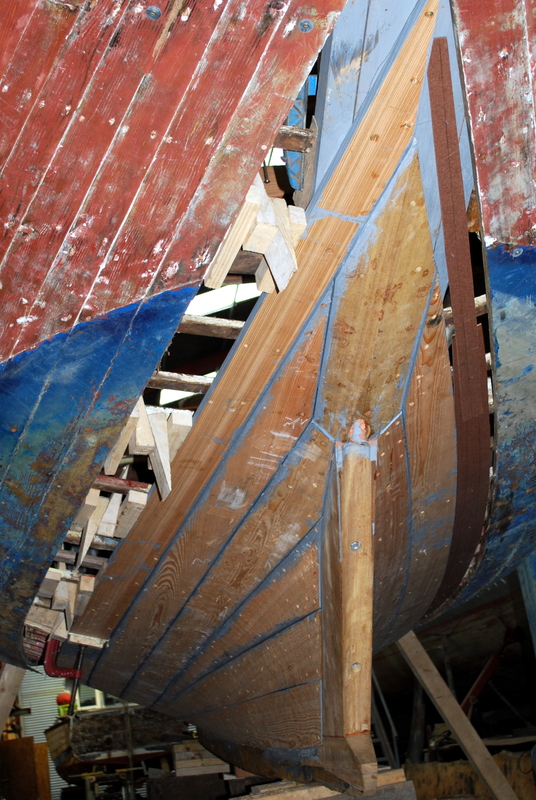 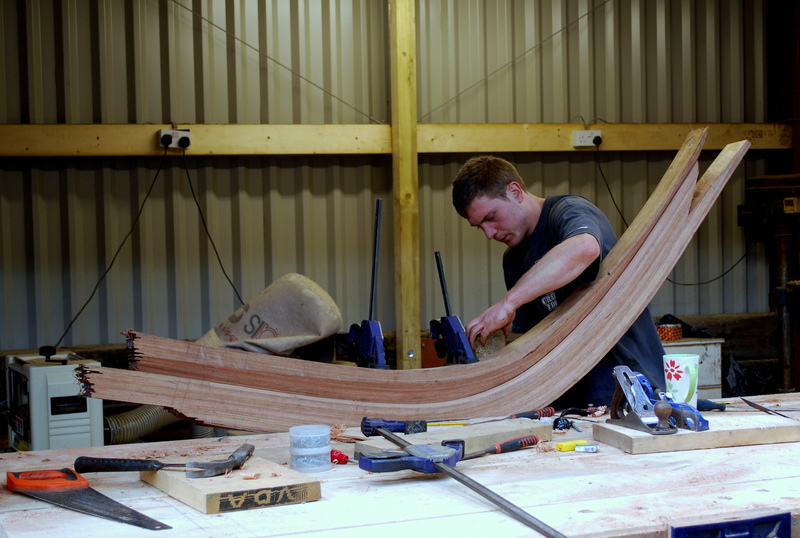 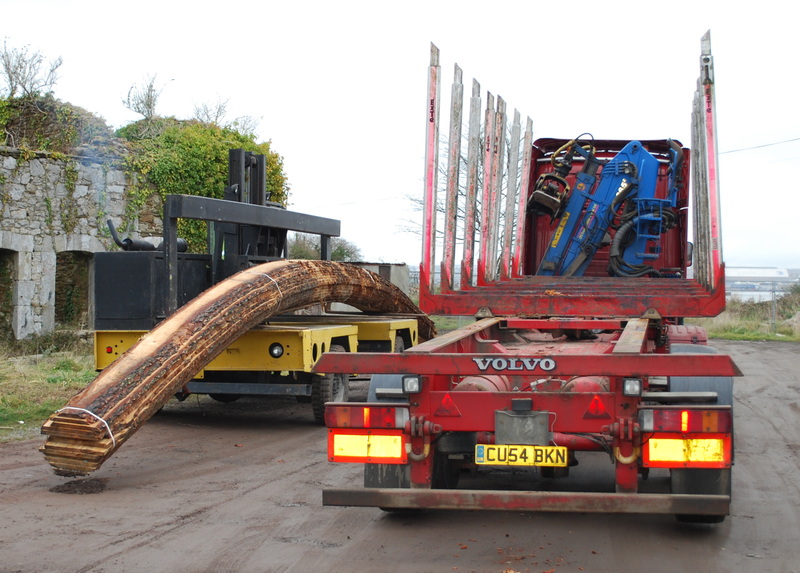 For this purpose a log of best quality German boat skin larch has been purchased.